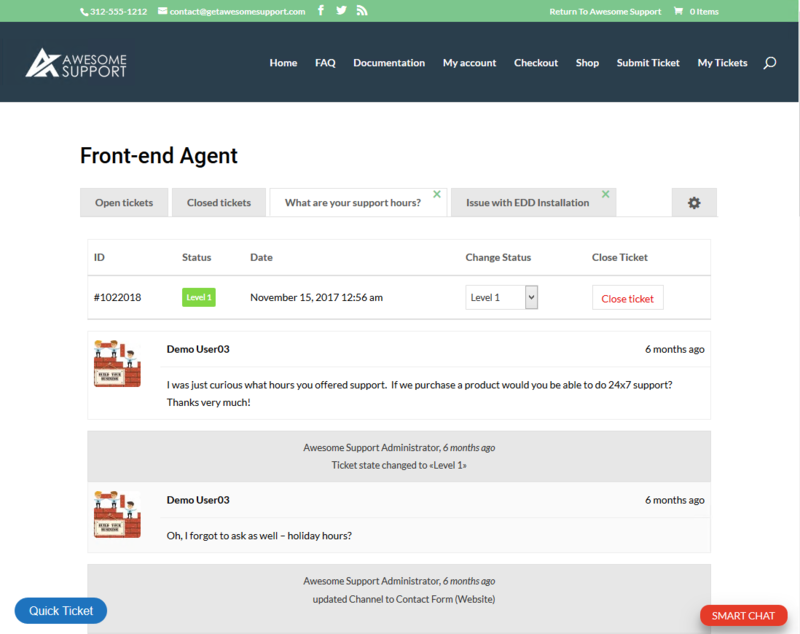 The Agent Front-end add-on for Awesome Support provides a simple interface for your agents to handle basic ticket tasks on the front-end. 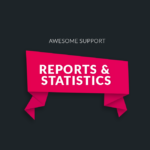 This can be useful when your agents are not your employees or are vendors and you don’t want to grant them access to all the functions of your WordPress admin agent dashboard in wp-admin. Change the status of a ticket. 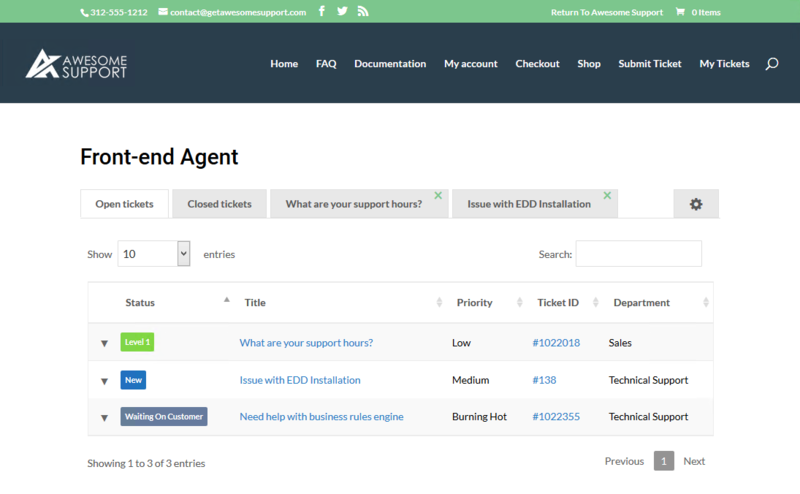 Only the four basic ticketing functions mentioned above are available to agents on the front-end with this add-on. 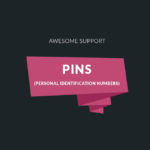 Access to advanced functions such as canned responses, private notes, faqs etc. is not available. 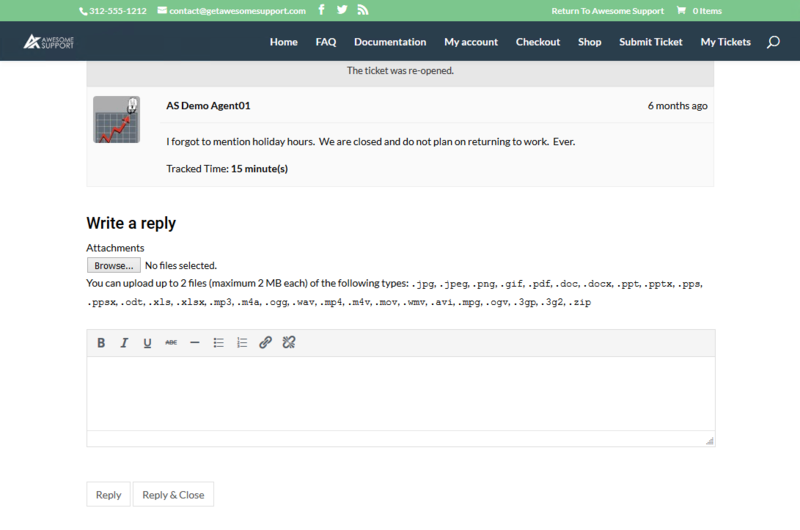 If agents need access to those functions you will need to allow your agents to log into the back-end of the site. This add-on is best viewed on a page with a FULL WIDTH display option. Many (but not all) themes do have a full-width page template that can be applied on a page-by-page basis. 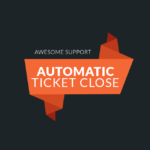 Users of Version 1.0 and upgrading to 2.0 should go to TICKETS->SETTINGS->AGENT FRONT END to set new options. Otherwise your front-end might not display properly. 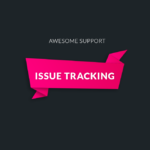 Fix: Wrap long continous lines in tickets and replies. Fix: Formatting on front-end could be skweed because it was not run through the wordpress the_content filter.